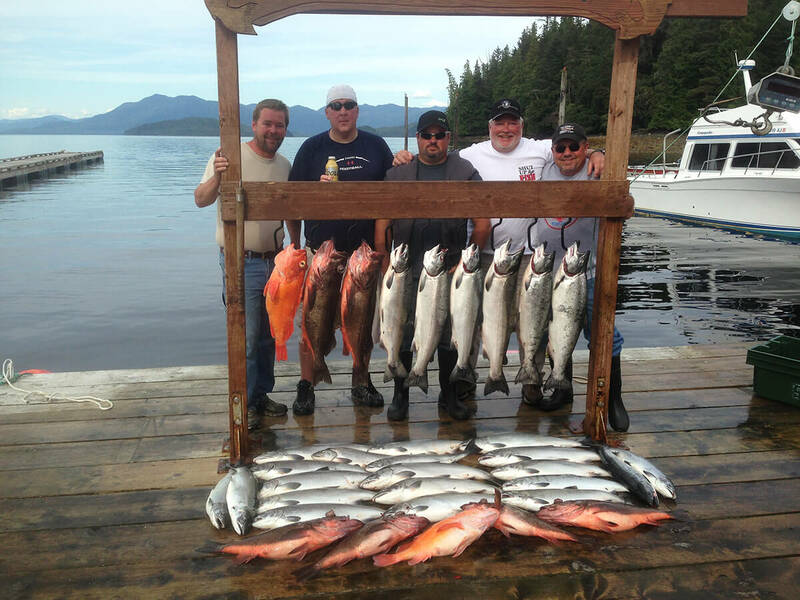 Reserving full day fishing charters in Ketchikan, Alaska gives you the opportunity to take in many of the remarkable wonders Southeast Alaska has to offer. Full day charters give you the chance to fully experience life out on the water and connect on an even deeper level with your friends, family, and nature surrounding you. With 8 to 10 hours of fishing in one excursion, the probabilities of you catching a fish you’ll never forget will only increase as well. In an intimate boating journey with only 4 to 6 people you are especially close to, full day Ketchikan fishing charters create a unique bonding experience away from the rushes of modern life and the excesses of notifications coming in on your mobile phone. Alaska is known for its breathtaking sights and beautiful wildlife. Out on the waters, it’s not uncommon to spot killer whales, bald eagles, and sea lions. An abundance of all types of fish can be caught as well. With millions upon million swimming through our seas every day, with Anglers Adventures, you will gain the opportunity to catch Salmon, Halibut, Rockfish, Black & Grey Cod, and more. With king salmon weighting over 40 pounds and halibut averaging around 20 pounds, your chances of catching something remarkable are high! No Fishing Expertise Necessary to Make Your Adventure a Success! When you reserve a full day fishing charter with Anglers Adventures, you don’t need to worry about not having enough fishing experience to enjoy your expedition. Our captain Brian Ringeisen has over 26 years of guiding experience and can teach you everything you need to know out on the water. He knows where the best local fishing spots are and will give you all the instruction and advice you need to succeed! Fishing licenses and stamps will be available for sale on the boat, so you won’t need to make any of these types of arrangements ahead of time either. Additionally, fishing charters can be even further customized at your request if you contact Brian ahead of time. From seven-year-olds to seventy-year-olds, everyone can enjoy a fishing charter expedition. For children, a fishing trip can be incredibly exciting as they get to view beautiful animals up close in person; while for older adults, they can enjoy the calmness of being out on the water and the opportunities to bond with their loved ones. Everyone can enjoy the adventure and get to take part in an aspect of life that has been a fundamental part of the local culture for centuries. As a long-time resident of the area, Brian at Anglers Adventures wants you to see just how incredible Ketchikan can be. With a U.S. Coast Guard Captain license since he was 19, Brian has always been passionate about the seas and fishing. We are committed to providing you with the highest level of service every second of your voyage. We want to share with you our love of fishing and the natural world surrounding us. 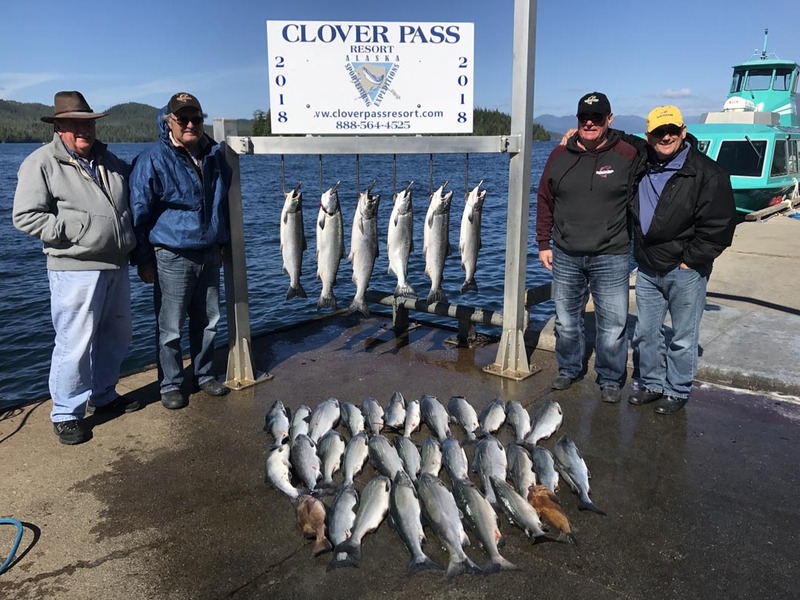 To reserve your full day fishing charter in Ketchikan, Alaska, call Brian today at (907) 254-0880, or email him at brian@anglers-adventures.com!